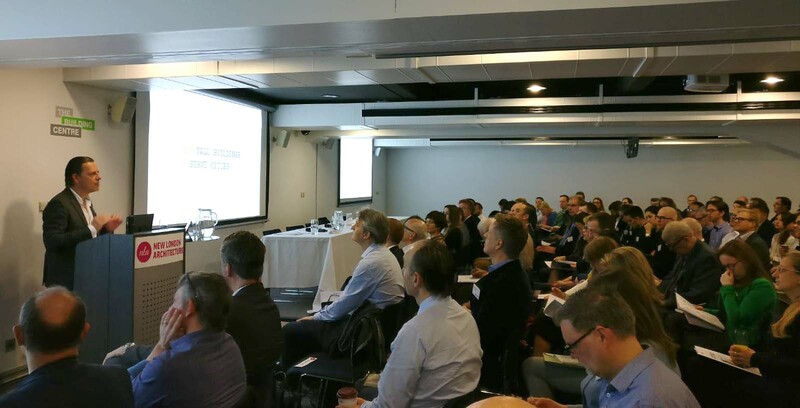 On March 28, the New London Architecture (NLA) Centre organized a conference that, under the title London’s changing skyline: the future of tall buildings brought together experts in the construction of high-rise buildings, allowing them to share their experiences with the attendees. During the event, the results of the latest NLA Tall Buildings Survey 2019 were analyzed and questions were raised such as: Given that most of the high-rise buildings are residential, what role do these types of projects play when it comes to provide accommodation for a growing population? Are they the best solution for the increase in population density? Are they more expensive to build and maintain? Javier Quintana de Uña, Director of IDOM UK, and president of the Council on Tall Buildings and Urban Habitat in the United Kingdom inaugurated the conference. This event was part of NLA’s Tall Buildings Programme.